Our friend in Oregon told us about shoe trees. 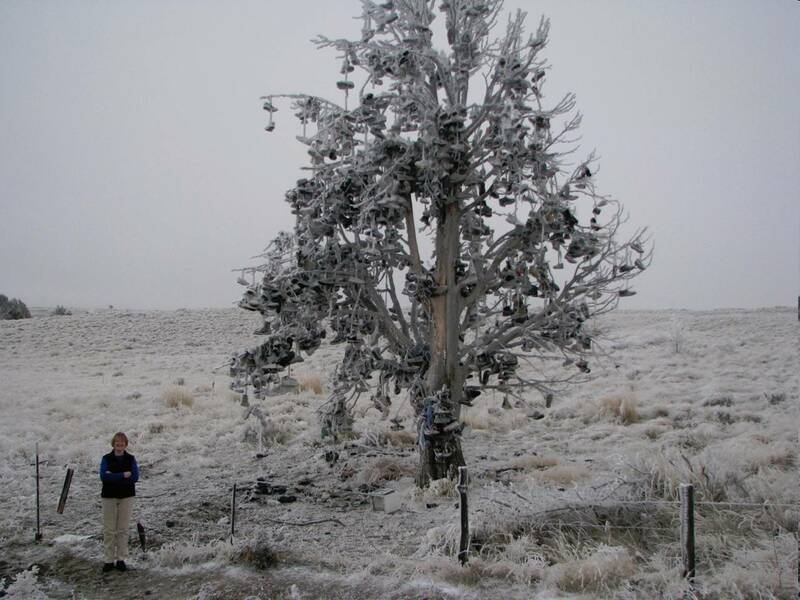 Whenever people see one they stop and throw a pair of shoes up on it. Wouldn’t that be fun? Although we looked we didn’t spot one on our trip. But here’s a picture our friend took.